This year the blog really came into its own in ways I did't expect. Aside from the amazing businesses I have had the opportunity to collaborate with, I'm even more grateful to each and every one of you who have continued to read and follow the blog and I really appreciate your thoughtful comments, emails and ongoing support. I have always wanted this blog to be a fun and engaging space. Primarily, my hope was that it would become a happy little escape for you to enjoy on your coffee break. With more of you reading, I really wanted to ensure that the blog looked the best it could be in order to make your experience of it more enjoyable, easy to navigate and with a heavy emphasis on clear imagery. 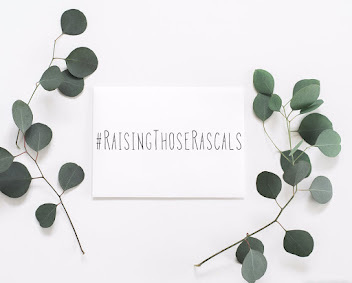 I also wanted the blog to get away from the standard format it's been relying on and to really push to make it my own, whilst gravitating towards a more current scheme in the general blogosphere. My first port of call was to come up with ideas for the new website and how I wanted to represent the blog to you all. Secondly, I wanted to take hold of my own domain name to individualise my blog and create a more professional identity within the world of blogging. I had deliberated on buying my own domain name for months but I refused to rush the process as I wanted to be sure of the name I was finally going to commit to. In the end, Bunty Living won through- I guess this little corner has grown and has taken on an identity that I don't want to interrupt now! I want the blog to feel professional but still very personal and these are elements that have played a huge part in the overall design. Introducing little details such as my signature to sign off each of my blog posts have been a fun way to make them retain more of a 'pen-friend' look as opposed to a computer generated script! I guess the biggest news is that we have moved to www.buntyliving.com, I know, I know...it might seem kinda mundane or even unsurprising, but for me this is such a big step forward. It's a really positive way to end a year that has also been full of steps forward and I have been overwhelmed by the support I have received by many of you. Thank you! I know I have been going on about how I've changed my blog this way and that, but really, this is OUR blog! You have played a huge part in helping me realise the potential here by just taking the time to read. You don't know how much that means to me as 'a small fish in a very large pond!' Thank you, thank you! I hope you don't mind my rambling but I wanted to take a moment to explain where the blog is at and also to thank you for allowing me to do this. Your generosity and supportive nature have really spurred me on and amazing things are happening as a result.